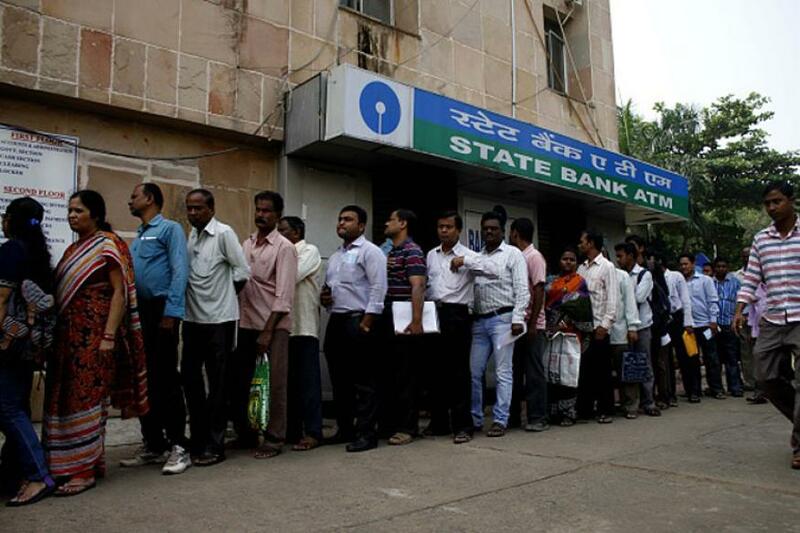 People stand in the queue to enter into the bank to withdraw money and exchange the discontinued notes in Bhubaneswar, India, November 11, 2016. The Indian government’s demonitisation scheme, with the sudden removal of 500 and 1000 rupee notes from circulation, has hit the tourism sector hard, but Russian tourists have not been complaining much. Demonetisation has hit India hard. Russian tourists, worried by the monetary crisis in India, with the most common banknotes in 500 and 1000 rupee denominations suddenly being withdrawn by the government, are now less likely to visit attractions, but have not expressed any special concerns, said the Association of Tour Operators of Russia (ATOR) on Tuesday. The high denomination notes accounted for almost 86% of the total money supply in the country. Indian media is reporting that the country is suffering from a huge shortage of banknotes, because the newly released currency notes do not work in most ATMs, because they are a different size. This has stalled the retail and tourism sectors. “In this situation, foreign tourists turned out to be among the most affected – along with the Indians, they have to stand for several hours in bank lines to exchange foreign currencies, while there are instances when they are even denied these operations, because they are citizens of other countries. Such cases have been reported in social networks,” ATOR noted in its statement. However, Russian tour operators, quoting Indian host companies, have recorded a slight decline of interest in going on excursions and visits to local attractions, where payments need to be made in rupees. Tourists are afraid that, in some cases, they will not be able to find the right banknotes in the national currency. “The tourists are not complaining. And what is there to complain about, because what has happened in India can be called a geopolitical factor. Of course, there are certain inconveniences, so today we are advising people to take along greater quantities of small denominations of hard currencies when travelling, to be able to make payments in most situations. If you get an opportunity to find rupees in Russia, then buy them, even at a disadvantageous exchange rate, to have even a small amount when you arrive in India, just in case,” one company explained in the ATOR Bulletin. According to tour operators, people are not cancelling their tours to India. Goa resorts are currently selling well, with Russians heading there for the New Year’s Holidays. According to reports in the Indian press, local merchants are trying to profit from this situation. Some businesses, for example, are willing to give change in small denominations, provided that the tourist spends a certain amount at their establishment, or take banknotes coming out of circulation, but at exchange rates that they set themselves.